Jean Whitla is a remarkable Australian. Her parents were missionaries of the Presbyterian Church’s Inland Mission. Bruce and Jean Plowman set a cracking example for their daughter and three sons Bruce, Hugh and Cameron. Children learn by example and Jean from an early age was well grounded in a sense of community and an enduring respect and love for the ‘outback’. Her father the Reverend Bruce Plowman was the first padre to volunteer alongside the Reverend John Flynn Superintendent of the Inland Mission (now known as Frontier Services). Bruce Plowman was the first Patrol Padre based in Beltana South Australia from 1912 to 1914. His first parish from the Flinders Rangers to Tennant Creek was 100,000 square miles. The Inland Mission helped pioneer bush nursing hospitals, the School of the Air and the Flying Doctor Service all critically important to the Outback back then and today. Later Jean collected and abridged her father’s many stories in a new publication, ‘The Man from Oodnadatta’. In the 1930’s ‘The Man from Oodnadatta’, the ‘Boundary Rider’ and ‘Camel Pads’ formed a trilogy of best sellers and remain to this day very important and valuable chronicles of the people and times. 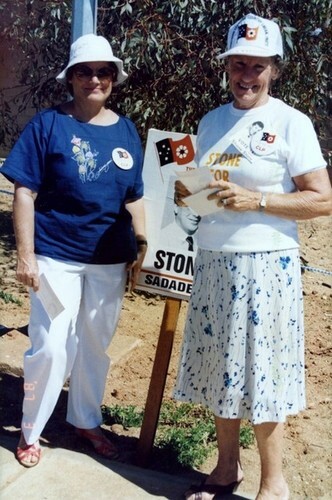 Figure 2 Pam Stone and Jean Whitla campaigning for Shane Stone in the NT General Election Alice Springs in 1987 role in focusing on accountability and transparency in local government. She is widely applauded in the Albury Wodonga community for her thoughtful and constructive insights in keeping the community aware. I also owe Jean a personal debt. I was the first woman elected to the Wodonga City Council and later first woman Major. In over 100 years the Wodonga City Council had remained an exclusive male domain. Jean as a local commentator set the scene for acceptance of a woman to finally break through. Although my late husband 10 years previously had been Mayor of the Rural City of Wodonga it was Jean who helped coach me through the issues. She was never party political’’ (12 Nov 2006). Jean remained steadfast in her support of Pam Stone as Mayor and councilor up until her retirement from public office. Jean travelled to Alice Springs with Pam Stone to campaign for Country Liberal Party candidate Shane Stone in NT General Election in 1987. The duo door knocked half the adjoining electorate before being pointed in the right direction by Roger Vale, the member for Braitling. Jean enthusiastically threw herself into the campaign for Indi in 2013 to unseat Sophie Mirabella in favour of independent Cathy McGowan. Jean always set herself the goal of living life to the fullest. Her community recognition is very much a chronology of a life well lived. On Jeans retirement from the ABC the Wodonga Police in 1990 presented a plaque in appreciation of her fair and balanced reporting. In 1995 Jean was made a Life Member of the Wodonga Historical Society and received the Commonwealth Senior Citizens Medal in 2001. 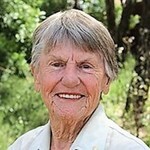 Jean was declared the Wodonga Citizen of the Year in 2002 and was conferred the Commonwealth Centenary Medal in 2003. 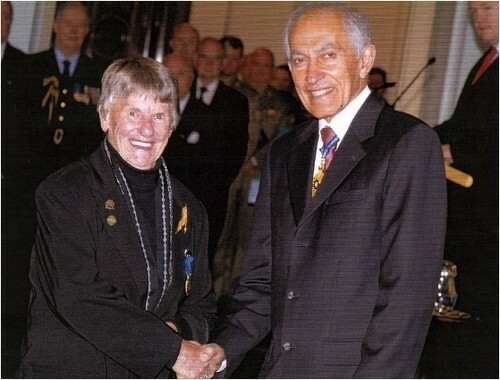 On Australia Day 2008 Jean was awarded and conferred the Medal of the Order of Australia (her citation read: ‘For services to the community of Wodonga particularly through history, youth and media organisations’). On the morning of Friday 6 September 2007, Shane Stone called on Bob McLean to pay his final respects. Bob and Betty McLean’s story are contained within this website. The family of McLean, Whitla and Stone were joined at the hip. Bob was near death in Wodonga Hospital and as Shane approached the ward the attending nurse warned Shane that Bob was unresponsive. As Shane walked into the room he sat down and held Bob’s hand, Bob opened his eyes. He had a single question for Shane; had Jean’s Nomination for an Award within the Order of Australia been lodged? Shane had received notification that it had. Bob exclaimed that was all he was hanging around for and with the cheeky smile he was known for closed his eyes. He died shortly thereafter – mission accomplished for the old soldier. Jean Whitla’s life has indeed been one well lived. Jean touched many people including the Stone Family in a way that was deeply appreciated. Her support and encouragement over the decades had been immeasurable. A remarkable women, a loyal friend and supporter and touchstone for what was right.